Not even close. The first chapter of the novel introduces you to a world of social complexity, often missing in today’s young adult literature. There is love, anger, and self-discovery on a scale that surpasses anything on the bookstore shelves in the teen section. Since the death of his father, Han’s family is so poor that he has resorted to running with a street gang, stealing to survive. He’s so good at the violence, that he rises to Streetlord of the Raggers before he’s seventeen. Though he lives in the fictional city of Fellsmarch, his plight is distressingly realistic. His problems are the same ones that plague teenagers of American cities today: scraping together enough money to buy food, protecting his family from other gang members, and protecting himself from violence with violence. Han’s best friend is Fire Dancer, the son of a prominent Healer in a mountain culture extremely parallel to 18th century Native American. He hates wizards because they invaded his country and took everything from his people. Sound familiar? The greedy wizards fought among themselves for power and wealth, eventually causing the worst disaster in history: The Breaking. Unlike America’s real history, the native tribes banded together and healed the damage, forcing the wizards into an alliance that the native people control. Enter Princess Raisa. (What’s a good fantasy novel without one?) Bound by this truce, she finds herself sacrificing love for duty, until she realizes that she is just a pawn for those of her kingdom who are trying to increase their power. The political undercurrent of Raisa’s story is intriguing, yet laden with a wistful sympathy for the princess’s situation. She wants to pursue her own life, make her own choices, but her stations demands that she will never have it. Women all over the world throughout history have been forced to wrestle with the same issue: does she pursue her own happiness or bow to her society’s gender expectations? After spending 400 pages wrestling with the three main characters’ dilemmas, I was pleasantly surprised at the end, wherein I discovered—as did the characters—that the world was not spinning in the directions they had assumed. Ancient secrets entangled their lives together in ways that were just beginning to be revealed, and of course could not be resolved by the novel’s last 100 pages. More magic and conspiracy are yet to come to light! Anyone who loves young adult fantasy should read this book! Oops. After a fabulous adventure, much darker than the others I might add, I got to the last fifty pages and went “Crap…this isn’t the end!” Not only that, but the book ends with a gargantuan cliff-hanger. Which, of course, all good series have at some point. The plot is intriguing and fast paced. The constant point-of-view switch-up keeps the action and emotion running high. And although I love Percy, I have to say that I’ve got a bit of a thing for Jason and the Romans. They seem more tragic–and a little less goofy–than the Greeks. Of course Rick Riordan does his homework when it comes to ancient mythologies, and the way he chooses to inject them with a modern twist is always interesting. I am enjoying the progression of his characters as they mature. Their journey through self exploration is both believable and fun. The only thing I didn’t like was the battle with the twin giants near the end of the novel. It took the reader back a stage: the action was back to a middle-grade-style-slightly-corny feel, where I really was expecting something more serious, due to the shift in the characters. Annabeth’s final confrontation with Athena, on the other hand, was spectacular! All I can say is: I can’t wait for the next one! Let me begin with this: I am an avid zombie fan. Resident Evil, 28 Days Later, The Walking Dead–I love them all. There’s something theraputic about them. Somehow, watching a zombie movie just makes me feel better about life. I mean, so what if I have to replace the tires on my car or wash the dishes? At least I’m not on the menu for undead cannibals. Don’t get me wrong. I don’t enjoy death.I just have a thing for post-apocalytic literature and media. First a small issue: why are zombies rarely ever holed up in cars in most zombie films? Its pretty common to see a highway full of empty cars. Now it makes sense that people would get out of their cars to run, but that won’t always be the case. Sometimes people would get trapped and if they were bitten–well, you can imagine the rest. There is a particular part of World War Z, where and Air Force pilot is running for her life after breaking a bone in her leg, and she has to squeeze through cars that are crowding a freeway ramp. Several times she is grabbed through the broken windows of cars. To me the scene was aweseome, and with the exception of The Walking Dead, and the zombie comedy, Zombieland, I haven’t seen this done. Second: the quislings. These creatures are humans masquerading as zombies. Thing is, it’s not really a masquerade. These are people who have completely lost it, who have given up so much hope that their brains degenerate and they become a zombie of the mind, not body. They happen to cause a lot of problems in the world. Because they aren’t zombies in the flesh, when they would bite people they wouldn’t infect or turn anyone. This led to a major problems, as some of these victims were taking what they were calling a “miracle” drug. It made the population think the cure worked, which it didn’t. People didn’t turn because they were being bitten by other people. Another issue was that quislings would make it look like maybe the zombies could be turned on each other. They would march into a swarm of real zombies, who weren’t fooled by their act, and would eat them. Even worse, the quislings were so far gone, they don’t even notice being eaten. Long story short, they wasted a lot of the government’s time, making them think both medicine and trying to turn the zombies against each other would work. Third: strategy. Just how far would the world governments go to preserve the population? You see, we all have this notion that every single life is worth saving. But in World War Z, they find out that this strategy just isn’t plausible. The more people they try to save, the more were lost. So, the world governements consult a man named Paul Redeker. He comes up with a plan that in a lot of ways is the game of chess. He proposes that the military abandon pods of civilians on the front line to save those that are in the safe zone. In effect: allow the zombies to be distracted by feasting on one group of civilians while the other group gets away. It’s like sacrificing a pawn to save a bishop, etc. The idea of this chilled me to the bone, mostly because, in reality, it was practical. But in it’s realism, inhumane in all the worst ways. If you ask me, every life is worth saving, and what they did was nothing short of an atrocity. Thank goodness we aren’t in a real zombie invasion. So far, I would give the book a five star rating (which I probably will on goodreads.com). But seeing as how I am still unfinished with the book, I can only provide a partial review today, but the book is blowing my mind. If you are a zombie fan, I highly recommend it. All I can say is “amazing.” This book had it all, a strong, powerful protagonist who still retains her vulnerability, a deep social statement on how racial prejudice brings out the worst of humanity, and DRAGONS! The vocabulary was literally breathtaking: there were even a handful of words that I had to look up (which, for me, is saying something). It was a fabulous literary milestone, if you will, for those of us looking for something more complex in young adult literature. Rachel Hartman has defied the commercialist conformists that run the novel industry these days. Where agents and publishers are saying “wait, make the story less complicated, use smaller words, young people aren’t smart enough to follow what you’re doing”, the author pretty much thumbed her nose at all of them and wrote “Seraphina” instead, proving that there is a market for a complex, high diction story aimed at young adults. I would strongly suggest to anyone who loves fantasy to check out this novel!!!! One of the hardest decisions an author can make is what to name her characters. Shaking the “popular baby names” book all over your manuscript can be one of the worst mistakes an author makes. A name has power. Would Eragon be a timeless epic hero if his name was Freddy? Would Captain James T. Kirk have been written into the history of science fiction as a rebellious leader of Starfleet if Gene Roddenberry had called him Arnold? I don’t think so. In contrast, the name Maggie Brooks carries a defiant swagger that defines her spicy personality. It literally means “pearl of the waters.” Knowing that she was once the Princess of the Jewel in the realm of Nehro, the water goddess, gives her name a subtle foreshadowing that is integral to the weave of our story. Care was taken especially in the development of Thyella (which means “land of the purple bamboo”), because of the underlying Japanese cultural influence we built into the shard. Raeylan is a blending of the Japanese words rei and jikan, which mean courtesy and time, respectively. Viridius was chosen as his surname because it means “green” in Latin. Rei is one of the core values of the Japanese Samurai, the Bushido code, and is paired with the element of spirit, honor and the color green. Shikun means “little truth,” derived from the Japanese word shin, which is another attribute of Bushido. So what is it that makes us love to hate a villain? Is it because of his actions, or because he is just so good at being bad? For me, it’s both. Even more, its his motivation behind both. Let’s look at some popular villains. Darth Vader is an iconic anti-hero who is recognized by his unmatched power in the Force (and lets face it, his awesome breathing apparatus). His motivation: loss. He was tricked by the Emperor into believing that he was going to lose everything–which then he did–and was left only with his conviction that democracy was a failure, that the Peoples of the Star Wars universe needed to be ruled. Why do we love to hate him? Darth Vader’s actions are unforgiving and intimidating. He shows little mercy to those who cross him, whether rebels or his own men. Guess what? We eat that stuff up. Little kids don’t dress up as Luke Skywalker, or even Han Solo. It Vader or Yoda, nothing else will do. Another villain, one who’s not new by any means, but who has recaptured the attention of the public, is Loki from the Avengers. Why do we love him? Well for the girls…lets just say, they think he’s one good-looking evil-wannabe-king. But what endears us to his character? It is his tragic loss. He has fallen: once an Asgardian, now an outcast. Once again, more than just an antagonist, he is an anti-hero. Revenge for loss is what drives him. It is what makes him human. So this brings me to the Shardwell Series. It is important to us as an author team to stay true to our characters, including our anti-heroes. When it came time for us to design our main antagonist, we had some choices to make. What kind of villain would he be? What ethical system would he follow? (For those of you who play turn-based role-playing games, would he be lawful evil or chaotic evil?) Then C.Hall had a brilliant idea. What if our antagonist believed he was the salvation of the Peoples of the shards? What if he thought he was leading the people to a greater good? Kirion was born. A villain more terrifying than those who are hollowly evil. How do you reason with a man who thinks what he does is for good of all? How do you stop him when he sees justice where others see tyranny? That is the dilemma that faces our heroines–Esilwen in particular. She sees the good in everyone, but Kirion’s definition is the extreme: either you join or die, all for the sake of righteousness. There is no villain more terrifying than one who thinks his path is the way of light, when in reality it bleeds genocide and murder. Kirion shows the depth of his convictions in the end of the second book. 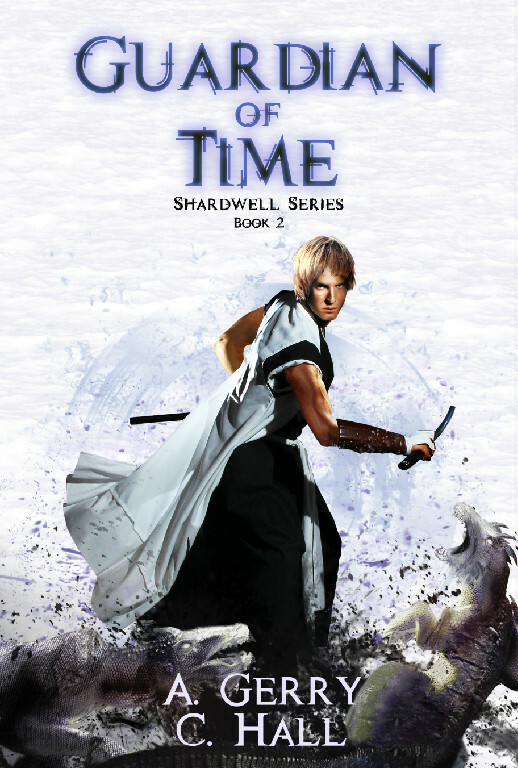 I won’t say what he did here in this post, (I’m saving the discussion of this great atrocity for later, but if you have not yet finished the second book Guardian of Time, I entreat you to do so) but I will say this: it was one of those moments that brought tears to our eyes as we composed every sentence. It was then that we realized the power of the villain we had unleashed in the shards. And how hard it would be to stop him. Kirion = love to hate. Why is the ending always wrong?! This a warning to all who have not read either Phoenix Angel or Guardian of Time, there are spoilers below. Stop reading now before you ruin the end!!! So as it turns out, we always get the ending wrong the first time. When developing our books, C. Hall and I always get together to outline each book before we write it. We discuss what needs to happen for each character and decide what needs to happen in the story. Conflict and such. Our books are written in sections, separated by the different story arcs. We always get the first ones right, following a natural progression for our characters and their storylines. We always get wrong the first time. Its happened so many times, that we now know that the original ending we prepared will be thrown out the window, probably aimed at the cat, for all its worth. So how different were the endings? We already discussed Mark, the impossible character to kill. But now I must mention the earthquake that never happened. In our original outline of Phoenix Angel, Bonneville High School was going to be destroyed by magic cast by Kirion’s Faithful Legion, an earthquake spell that would haven been the demise of the school. But as we reached the end, we realized that an earthquake would be too chaoic, limiting our ability to introduce key members of Kirion’s fold. Instead, we chose to make it Carter’s fault. When he connected with the large ball of expanding light energy, he had a choice to make. Would he choose to preserve himself, or stop a disaster? In all fairness, Carter didn’t know he was making a decision that was quite so important. So now we ask ourselves: how much of Kirion was still inCarter when he chose to sacrifice half the school? The changed ending of Guardian of Time was quite a struggle. Remember how we framed Margariete for Katrina’s murder? Yeah, that’s not how we originally wanted it. We had first planned to frame Esilwen. We had hoped to show Raeylan’s struggle in choosing between love and his kingdom. But the logistics didn’t quite work out. For one, Esilwen was never solitary access to the secret passages of Castle Viridius. With the passages connected to only the king’s and queen’s quarters, it became a key piece of evidence that strongly implicated Margariete’s guilt. The second reason we changed our minds was because of Terail. His vendetta was against the Viridius family, not Esilwen. It simply made more sense for Terail to frame Margariete, taking advantage of her in the process. But the main reason for the change was the most important. What could cause Raeylan more growth then to choose between his twin sister and his kingdom? Of course, in the end, he realized that Terail was the real murderer and pardoned Margariete. Still, his love for his sister was critical in bringing down the First Kingdom. Our pattern has still not changed. When the time is right, I will blog about the changed endings of the third and fourth books, Maiden of Life and The Mystic. But that is a story for another day. Mark, What Happens When You Can’t Hit Him? How did Mark do it? How did he survive the first book? In our original outline of Phoenix Angel, to put it bluntly, Mark was supposed to die. Feralblade was going to kill him. It was our way as authors to show just how ruthless the assassin could be. But Mark, our “red shirt,” is the only character who is based on a real person. Yes, rose-wielding, soda-spilling, truck-obssessed Mark is a real person. And to no one’s surprise, Fictional Mark and Real Mark are carbon copies of each other. (Oh, and the truck is real too, though its demise wasn’t Kyle throwing Carter into it. It was rolled and smashed in a ditch due to Mark’s weakness for speeding.) Back to Mark. So why did we deviate from the plan? After all, Mark in real life can be…irritating, especially when…well, that’s a story all its own. So we thought, “hey this will be fun.” Mark’s going to die. But then we reached his death chapter. My hands hovered over my keyboard and I stared at the blank page. After several minutes, sitting at my desk and unable to complete the task, I went downstairs to my sister’s, C. Hall’s, classroom. I stood dumbfounded in front of her desk. She looked up at me, her eyebrows raised. What do we do with him now? But in the mean time, for those of wonder what the real Mark looks like, here’s a picture. Shall I compare thee to Buffy the Vampire Slayer? 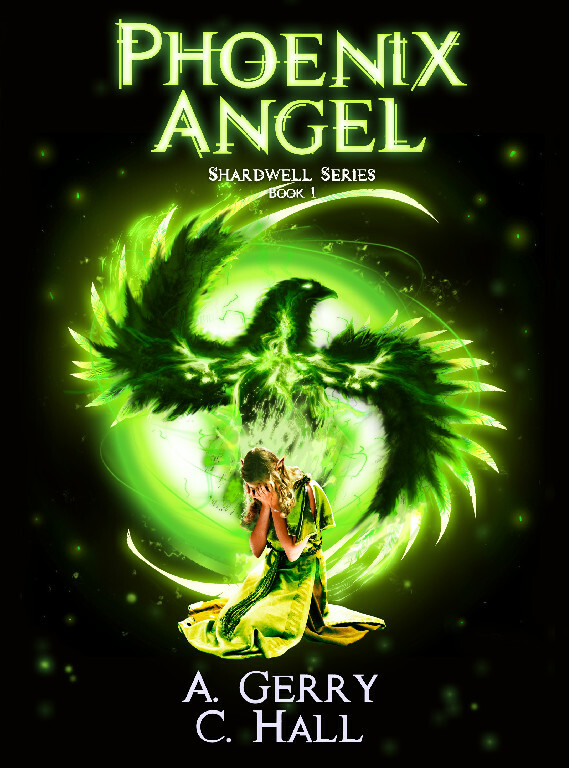 So we can’t tell you how excited we are to have our first official review of Phoenix Angel! 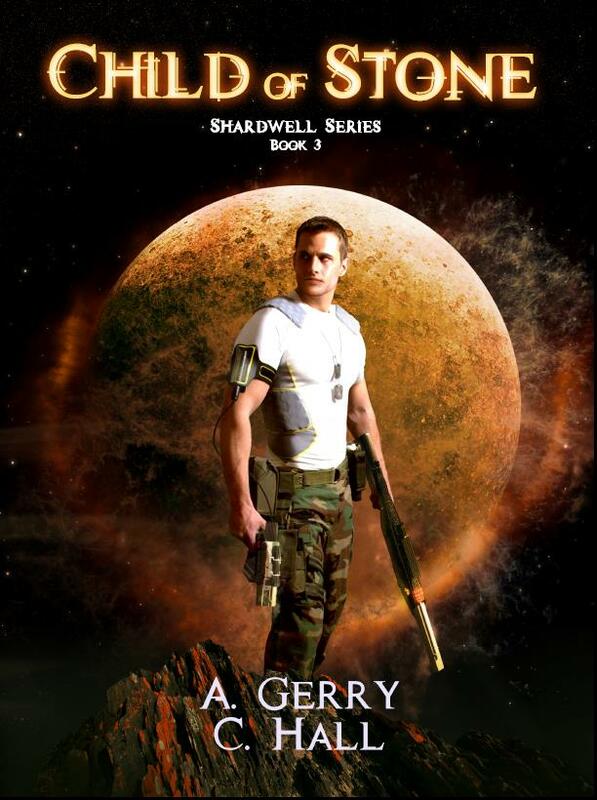 You can read it here https://www.kirkusreviews.com/book-reviews/gerry/phoenix-angel/. What makes a character great? How do you set them apart from those who have come before? And how do you create one that will be remembered? All of these were questions that we asked ourselves before creating the main characters of our books. To find the answers we had to analyze other memorable characters. What makes a character unforgettable? Some of our favorites: Han Solo, Captain Jack Sparrow, and even Elisabeth Bennett. All of them are referred to time and again. Why? One simple answer: all of them have a flaw. An important flaw. One that is both their greatest strength and their greatest weakness. For Han Solo, his weakness is money. We are entertained by his self perseveration through this trait, and enjoy watching him struggle with decisions. Captain Jack Sparrow is outwitted by his own ambition. He amuses the audience by outsmarting his enemies, but he sometimes becomes too confident in his abilities and in the end its costs him his greatest love; the Black Pearl. Elisabeth Bennett relies on her pride to survive the rigors of the societal rules of the 18th century British aristocracy. But it causes her to perception of others to become skewed, as well as making her vulnerable to their lies. All of these characters have something else that makes them great. They evolve and learn, growing from the mistakes they’ve made because of their flaws. 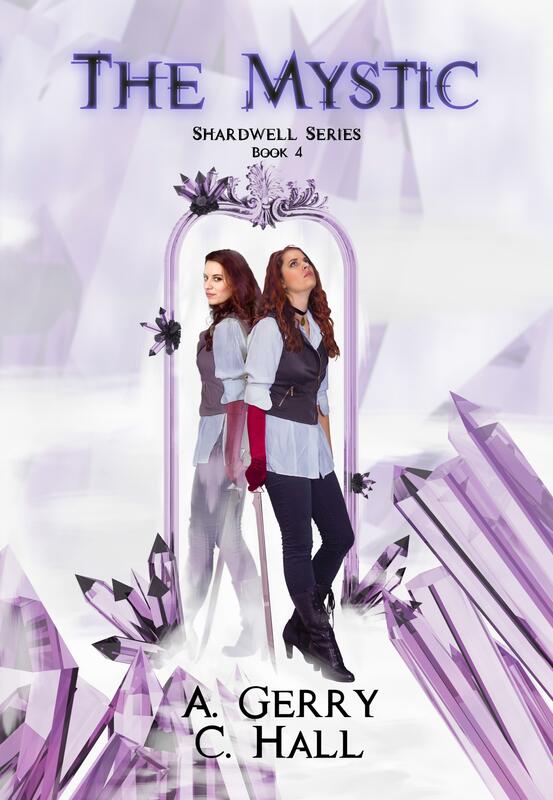 That is what we wanted for our own characters in The Shardwell Magic Series. Maggie Brooks is strong because of her temper, but gets into trouble because she is unable to control it. Lily Ivers is well liked by everyone. Her compassion gives her great charisma and kindness that sways the opinions and feelings of others. However, that compassion is often laced with her naivety. She can be too trusting, and is easily taken advantage of by others. This is how the everlasting friendship between Maggie and Lily was born. Lily is able to dampen Maggie’s temper, while Maggie is able to see through the deceptions of others to protect Lily. They, in the words of a famous cliché, complete each other. With this dynamic friendship we added our previous ideas about magic, and thus Phoenix Angel started to become a reality.